Navigating Europe just got easier thanks to City Navigator Europe. 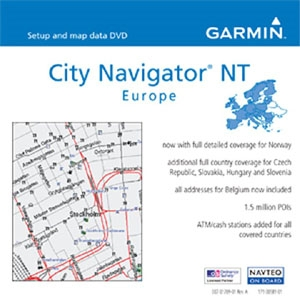 This latest version contains highly detailed maps of major metropolitan areas in Europe and now includes full detailed coverage for Norway. It also includes full coverage in the Czech Republic, Finland, Slovakia, Hungary, Slovenia and expanded address coverage in Belgium.